On the French Riviera, it is very hard for private airport transfer companies to keep a low cost for an airport tranfer when they work with hôtels. 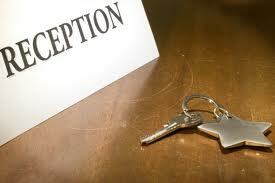 In fact, they are obliged to pay a commision to the reception desk or concierge. The percentage is about 20% and some can go to 30! By example an airport transfer from Nice Airport to Cannes can cost up to 100 €! A normal price is around 80/85 € and you can have a better price with us. Most of Hotels directors are really not concerned with the airport tranfer of their customers and the reception desk often is interested only by the money they can get on you! So we recommended you to ask us a quotation for your airport transfer from and to Nice Airport, we shall have you the best service and the best price! This entry was posted in Aéroport Nice Côte d'Azur, Airport Transfer Côte d'Azur, AIrport Transfer French Riviera, Airport Transfer Nice Airport Best Price, Book a VIP Transfer from Nice Airport, My Airport Transfer from Nice Airport, Nice Airport Transfer, Nice Airport Transfer Quotation, Private Limousine Nice Airport, Shutlle Nice Cannes, Shuttle Nice Airport, Shuttle Nice Antibes, Shuttle Nice Monaco, Taxi Cannes Festival, Taxi Nice Airport, Taxi or Private Transfer Nice Airport, To and From Nice Airport, Transferts Aéroport Nice Côte d'Azur and tagged Private Transfer Nice Airport, Taxi Nice Airport, Taxi Nice Airport to Cannes. Bookmark the permalink.